Increase your sales and profitability by investing in attractive sidewalk signs created by Kansas City Sign Company! By utilizing attractive, informative sidewalk signs, custom-made by Kansas City Sign Company, your business can quickly and efficiently inform potential customers of the products and services you provide. 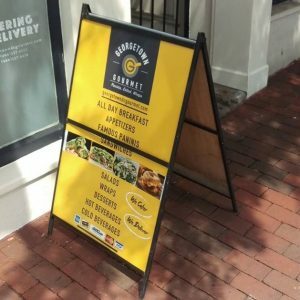 Whether you’re lowering prices or offering special deals, sidewalk signs are a budget-friendly option that will increase customer traffic, ultimately helping your bottom line! As your local full-service sign shop, we create every type of sidewalk signs, including a-frame, digital display boards, real estate sign frames, and more. So when you’re looking for a signage partner who can deliver the solutions you need within your timeframe and budget, Kansas City Sign Company is the right choice. Call Kansas City Sign Company today at (816) 656-3114 for your Free Sidewalk Sign Consultation! 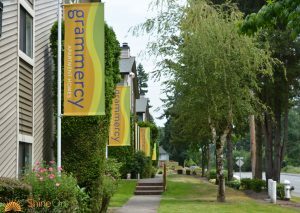 According to the International Sign Association, successful signage depends on various factors, including sign materials, placement, visibility, and readability, just to name a few. This means that your signs need to not only be made of high-quality, durable materials but also need to be placed in such a way that they are can be easily seen and read as motorists and pedestrians pass by them. We create attractive portable signage, including a-frame signs, marker boards, changeable message boards, and more! 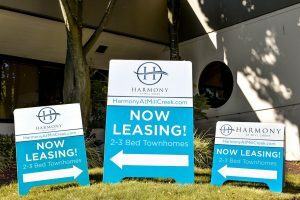 Our knowledgeable sign consultants will discuss your location, signage needs, and marketing goals to ensure you get the right type of sign for that fits your location, goals, budget, and brand. Kansas City Sign Company is your complete, local provider for all of the signs your business needs. We not only fabricate attractive, impactful sidewalk signs, we also assist with designing and installing all types of signs including, storefront signs, vinyl banners and graphics, branded vehicle wraps, monument signs, pole signs, wall murals, floor vinyl, and much more! Whether you need assistance with identifying and designing the right signs for you, or already have a print-ready file, we deliver the high-quality signage products you need to give your business a professional, polished look. At Kansas City Sign Company, we are dedicated to providing excellent customer service and superior solutions for all of our clients. When you’re looking for a reliable, local signage provider that will deliver the solutions you need, you can count on Kansas City Sign Company! Call Kansas City Sign Company today at (816) 656-3114 for your Free Consultation with a Sidewalk Sign Expert!